Whether you want an exterior wash for extra shine, or a more thorough clean, the MUCKOFF Team has you covered. Try our most popular and great value-for-money hand wash, the Deluxe Wash Service today! Whether Maintaining, Selling or Restoring, the MUCKOFF Team can help. Our extensive range of Detailing Services are designed to retain or add-value to your car, making sure it always looks its absolute best! Treat yourself or someone special to one of MUCKOFF’s Specialty Services. Try our Ultimate Rejuvenation Package - dubbed ‘the pinnacle of car care’ - designed to give that “new car look & feel” at a fraction of the price! 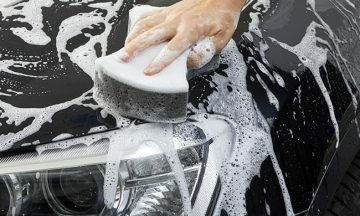 MUCKOFF Hand Car Wash & Master Detailing is an Australian owned and operated boutique service business with two centrally located retail sites; MUCKOFF South Yarra, at 5 Ellis Street and our new site, MUCKOFF Malvern at 1360 Malvern Road. At MUCKOFF we look to offer exceptional customer service that is friendly and professional with a client-centric approach, while delivering the very best in automotive care. We strive to work within and simplify our client’s demanding lifestyles, by tailoring our services to their needs; always aiming to exceed the most discerning customer’s expectations. Customer service and satisfaction are our focus. We want to offer you a professional, friendly & fuss-free experience every time, ensuring you and your car are beaming after every visit. We have extremely high-quality standards, along with rigorous processes and procedures. This ensures consistent service delivery and the peace-of-mind that your car will look & feel fabulous each time you visit us. We have over 25-years of automotive experience. 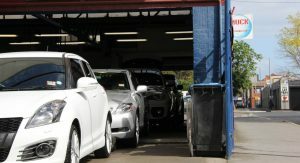 We work with and are trusted by some of Melbourne’s most prestigious car dealerships, reputable mechanical workshops & repair centres, as well as nationally recognised insurance companies. We are renowned for our know-how, can-do approach and our outstanding service delivery. You can be sure your car is in good hands with us. On average, each MUCKOFF car wash uses less than 40-litres (or the equivalent of 2 standard buckets) of water, from initial to final rinse. That’s almost 3-times less than D-I-Y home car washing! Additionally, we are responsible for trade waste on-site, protecting & preserving our precious waterways, flora & fauna from harmful pollutants. These are just some of the many measures we take to ensure you’ve not only had the best hand car wash, but also been gentle on the environment. Kon at MUCKOFF has always continually impressed me with his great enthusiasm and excellent customer service. The staff at MUCKOFF are very friendly and know me by name. They always go beyond the norm in cleaning my car. Starting off as a mobile car washing service, Kon used to come to my home on a weekly basis to wash our cars. When MUCKOFF opened for business, I didn’t hesitate to continue this weekly ritual at one of their locations. I’m a bit of a luxury car fanatic and I’m very fussy with the way they are cleaned and cared for. Lucky for me, so is MUCKOFF! 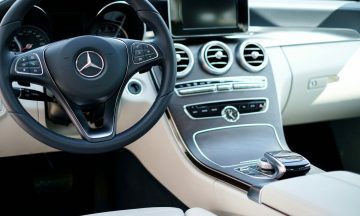 I have trusted them implicitly with all of my cars for more than 10 years and I feel confident in recommending their exceptional service and care to anyone. I have been using Kon to wash my car for over 19 years. I remember Kon coming to a previous job offering to wash anyone’s car, a couple of months later he turned up with a trailer, then someone to help out then he opened Muck Off Car Wash, it has been such a success story to see him start out and grow his business over the years, I often tell his story to my staff about working hard, persisting and you can do anything you want. His staff do an amazing job especially at detailing, I recommend him to everyone. Dear Kon, I am pleased to congratulate and commend you and your family on the fantastic business you operate. Our relationship has been forged over fifteen years of mutually beneficial activities through some extremely challenging times. We share a clear vision as to where our respective businesses are heading, with a common mission of insuring that our valued customers are totally satisfied with the service levels we provide which will ensure that we all enjoy many years of continued success. Thank you for everything you have done for our family, the team at Altitude Volvo, and our customers, we look forward to enjoying a long and rewarding partnership together. I have had the great pleasure of working with the boys at MUCKOFF at two Dealerships I have worked at; one being Bilia Volvo in Hawthorn, where Kon and his very efficient team have been detailing our cars for years and doing a wonderful job, and also doing some work for me at my current location. I cannot thank Kon enough for going out of his way to get the job done on time every time. His professionalism and people skills are very high as is his workmanship, and I could not recommend MUCKOFF highly enough to anyone requiring vehicle detailing. Kon is very dedicated and ethical in character and I have always found him to be hard worrying and constantly coming up with new ideas to sell and promote his business. The team at MUCKOFF were always very accommodating to BMW which showed with great management the business was detained for success. I first meet Kon Sardellis in 1999 when he and his band of men were detailing cars for Bilia Volvo, a little later down the track Kon decided to go it alone and open up MUCKOFF Car Wash & Detailing Services, since this inception Kon's business has grown with now having two premieres, the workmanship that Kon puts out is second to none and i can fully recommend Kon's services as being the best in class. Congratulations Kon well done you will always have my business.